Famine, Death, War, and Pestilence: The Four Horsemen of the Apocalypse, the harbingers of Armageddon ÃÂ these are our guides through the Wastelands... From the Book of Revelations to The Road Warrior; from A Canticle for Leibowitz to The Road, storytellers have long imagined the end of the world, weaving tales of catastrophe, chaos, and calamity. Gathering together the best post-apocalyptic literature of the last two decades from many of todayÃ¢ÂÂs most renowned authors of speculative fiction, including George R.R. 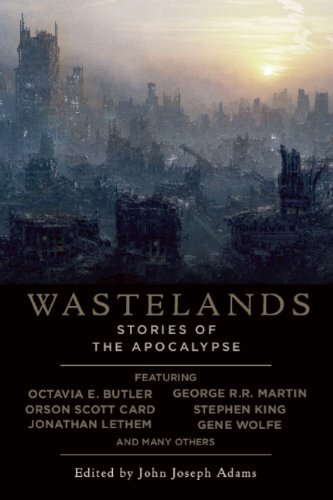 Martin, Gene Wolfe, Orson Scott Card, Carol Emshwiller, Jonathan Lethem, Octavia E. Butler, and Stephen King, Wastelands explores the scientific, psychological, and philosophical questions of what it means to remain human in the wake of Armageddon. About: Famine, Death, War, and Pestilence: The Four Horsemen of the Apocalypse, the harbingers of Armageddon Â these are our guides through the Wastelands.